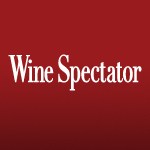 Each year, the editors of US publication Wine Spectator survey the wines reviewed over the previous 12 months and select their Top 100, based on quality, value, availability and excitement. This annual list honors successful wineries, regions and vintages around the world. To read the list in full, click here.